800g spinach, stalks removed and chopped. Fry the chopped onion, garlic, mushrooms and chopped basil. Add the spinach. Add the chopped tomatoes and tomato puree and simmer for 10 minutes. Add the flour and milk and stir until the sauce has thickened. 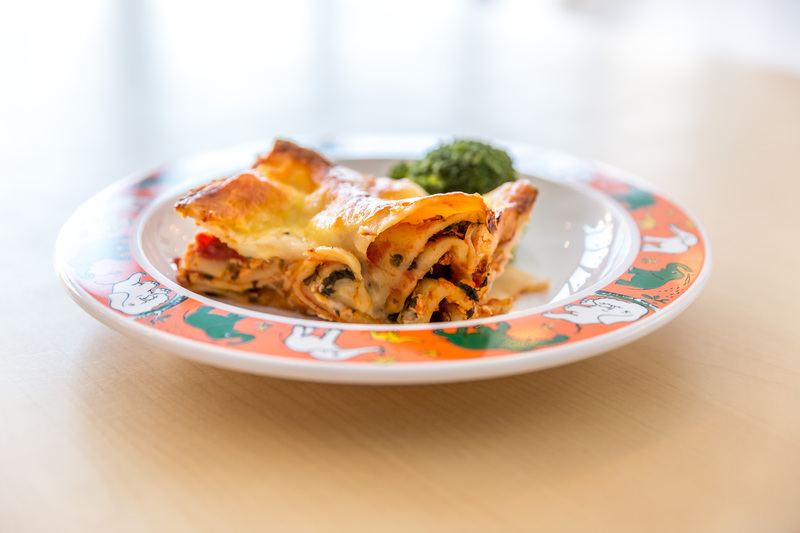 In a baking dish, layer the lasagne sheets, the lasagne mixture and the ricotta cheese. Finish with a layer of pasta topped with sauce and sprinkle over the grated mozzarella.